Hi friends, If you don't know about cracking encrypted or ciphered data using Brute Force attack,this article will help you to gain much knowledge about the Brute Force attack. 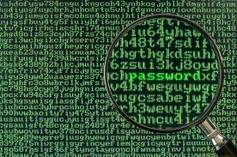 Brute force attack is one of the password cracking method. In this method we are not decrypting the passwords. Instead we are trying to crack the password by comparing different combination of characters (all possible keys) with hash code. Let us assume the password length is 3. we have characters set(abcdefghijklmnopqrstuvwxyz0123456789) excluding the special characters. Likewise for second and third character we have 62 different ways. So the total permutation to produce different keys is =62*62*62=238328 ways. If you include the special characters in character set,then the permutation to crack the password will increase. If the password length is small,then it will be cracked in small amount of time. This method will take too longer time to crack lengthy passwords. It can take several hours, days ,months ,years. Upper case and lower case letter combinations. Hope you understand about brute force attack,also the drawback of this method. You can take advantage if the password is simple and small in length.